2017: Panel; H-1.5 in. ; L-13.313 in. ; W-9.313 in. 2015: Panel; H-1.5 in. ; L-13.313 in. ; W-9.313 in. 2016: Panel; H-1.5 in. ; L-13.313 in. ; W-9.313 in. 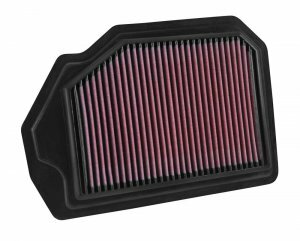 K&N Replacement High-Flow Air Filters are The Original High-Flow Air Filter.